Who is it for? Think about the end user and what they’ll be doing with the garment. Doing a little customer profiling can go a long way towards making your project a success. Is the demographic mostly Male or Female? Or, a mixture of both. If it is a mixture you may want to consider using unisex or some women’s specific garments for your project. What is their socio-economic status? Which ties directly into the conversation below regarding knowing your ideal retail price. Are the garments for people who are fashion conscious or not? If they are fashion forward you’ll want to look at using garments done in contemporary fabrics and fits which are generally lighter-weight and more form fitting (however that is a generalization). If not, there are plenty of great garments out there done in more traditional fits and fabrics. Are they environmentally conscious? There are a number of things that can make a garment more sustainable but the main ones are being made from environmentally friendly textiles or made closer to home, or both. The bottom line here is that a yoga studio will probably use different garments than a construction outfit. Think about these things and let us know the details of your customer/end user so that we can help guide you into the right styles and decorations for project. We’ll cover retail, promotional, performance and workwear type projects here. 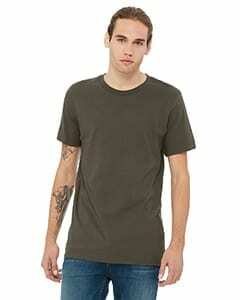 Retail garments are typically resold and developed on a finer quality garment. It’s always good to have an ideal retail price for your garment and know that 100% markup (or Keystone margin as its referred to) from our cost to you is the standard for most apparel products. This will determine other variables of the project like what blank to use and what can be spent on decorations. 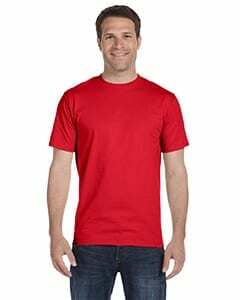 For instance, if you want to sell a t-shirt for $30 you can use a more premium blank and add more decorations (like printed size tags and clip labels) than a shirt that will retail for $18. Also consider how long you will offer the product. Is it a definitive piece that you’ll offer year round or a seasonal style with a limited shelf life. If it will be offered year-round you’ll want to make sure you’re using popular garments that are universally liked and stocked by suppliers. If it is seasonal you may want to use a novelty garment that is unique in your collection or for the season. Promotional Garments are typically given away and are developed on a more economical platform. If it is promotional think about what you want to get out of the item. Are you looking to keep costs down and get a lot of garments on people or do you want to focus on quality so that the end product is worn more often. Also consider using a standard fit that will be more compatible with a variety of body types. Remember that you will be handing these out to the general population and likely at an event so keep a simple product assortment that will be easy to manage. Performance garments are typically used in team or active settings. Will this be used as “active wear” and require performance properties such as stretch, moisture wicking and quick drying. You’ll find performance options in all categories we’re covering here and there are plenty of contemporary garments on the market that walk the line between being fashionable and performance driven. Workwear and uniform projects are typically purposed for onsite settings. 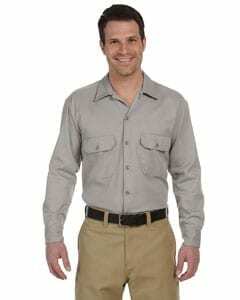 Typically with workwear you want to focus on heavier weight, durable blanks that hold up well under working conditions. With corporate wear and uniforms think about employees end use of the garment. Your dollar towards durability goes a long way here, quality garments may cost more but they generally shrink less, hold their color longer and wear at a slower pace. Thanks for reading and we look forward to working together to make quality goods that your customer or end user will love.